This might make shopping a bit less stressful. (SPOT.ph) According to the Metropolitan Manila Development Authority, whenever there’s a sale along EDSA—where 16 malls are located—average traffic speed along the major thoroughfare drops to five kilometers per hour. This is the scenario that the Metropolitan Manila Development Authority (MMDA) anticipates during the holidays, when malls traditionally hold sales. In light of this, the Inter-Agency Council for Traffic and Metro Manila mall operators signed an agreement on Friday, October 7 decreeing that sales will no longer be conducted during weekdays. Instead, mall sales will be held strictly on weekends. Mall operators are also required to submit a traffic plan two weeks ahead of a sale to Inter-Agency Council for Traffic (I-ACT). The said agreement starts on October 21 and will be in effect until January 9, 2017. Chief Supt. 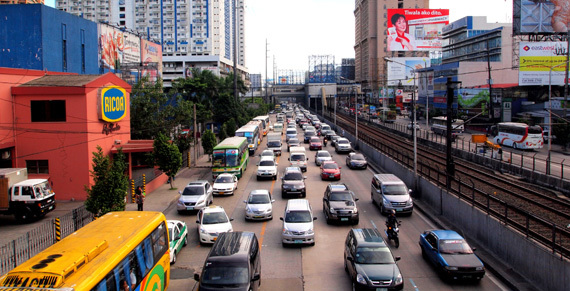 Antonio Gardiola, head of the Philippine National Police’s Highway Patrol Group, added that motorists queing for a parking space are no longer allowed to stay along EDSA. I-ACT and the mall operators are set to finalize the guidelines on October 13 for a change in mall hours during the holidays, possibly 11 a.m. to 11 p.m.. They will also discuss the implementation of a delivery period of products, which is from 12 a.m. to 5 a.m.